Boucan by Hotel Chocolat is a luxurious property on St Lucia which is owned by the popular chocolatier, occupying the island’s oldest cocoa estate just a few miles from the coast. Hotel Chocolat has rejuvenated the cocoa groves of the 140 acre Rabot Estate and restored the original estate house, naming the hotel Boucan, the creole name for a drying shed. Boucan by Hotel Chocolat comprises of just 6 Lodges and 8 Luxe Lodges constructed from local wood and stone with high ceilings to allow the cooling breeze to flow throughout each simple but stylish interior. The double bedrooms have king or super king size beds with ultra-high thread count cotton sheets and the bathrooms have polished granite double basin and open-sky rainforest showers. Each intimate, exclusive guest accommodation features a private veranda with Rabot Rocking Chairs and cabinets of chilled drinks in every lodge. Boucan by Hotel Chocolat still has a strong connection with cocoa and chocolate, and the hotel’s restaurant allows guests to experience cacao cuisine. For over 3,000 years, cacao has been used as a savory ingredient and for only the last 500 years as a sweet one. The menu explores both uses, with the chefs taking their inspiration from the fresh cacao growing all around the estate, together with amazing local fish and seafood, salad leaves, vegetables and plentiful fruit. However, the cuisine is far from cocoa heavy as the menu often makes use of cacao as a light, subtle spice or as an infusion. Surrounding the lodges, the landscaped grounds are lit by solar powered lights and water is harvested from the rain, showing a respect for the environment and the rainforest that underpins the ethos of Boucan by Hotel Chocolat. Unique to the Rabot Estate is the Tree to Bar Experience - an exclusive opportunity for guests to create their own chocolate starting with walking on the estate, selecting ripe cacao pods to cut from the tree, roasting them and culminating with the making of chocolate bars and truffles. Tours include all the stages in-between such as visiting the seedling nursery, fermenting room, sun drying, grinding, mixing and lots of tasting! Guests can also take a guided fruit tasting Safari as the estate grows its own guava, mango, banana, papaya and breadfruit to name but a few. The 50-foot infinity pool is set high above the trees and is surrounded by lounge areas and a pool bar. The spa allows guests to experience unique massages using cocoa butter & cocoa nib exfoliating rub-downs. There are plenty of opportunities to explore the island – guests can choose to spend a day on the beach, take a powerboat trip to Marigot Bay, go deep sea fishing, scuba diving and snorkelling by the Piton, take a sulphur springs bath, zip wire over the rainforest, visit the drive through volcano or climb the 2,500 feet Gros Piton ... the possibilities are endless! The hotel is an ideal escape for groups and can be hired for exclusive use. Boucan by Hotel Chocolat is a unique hotel which is really suited to the type of guest who wants total seclusion, a rainforest retreat, simple lodge-style accommodation in a minimalistic style and the opportunity to sample some of the best chocolate inspired cuisine in the world as well as locally-made chocolate of course! We tend to recommend Boucan primarily for short stays as part of a twin centre or island hopping holiday in the Caribbean as it doesn’t offer the typical amenities such as a beach or water sports that some people may want to include in their stay. However, for something unusual and off the beaten track in St Lucia, it makes for a very memorable experience. Guests can enjoy cocoa enriched spa treatments, the popular ‘Tree to Bar Experience’ where you choose your own cocoa pods and experience the whole chocolate making process and various different nature walks through the cocoa plantation estate. 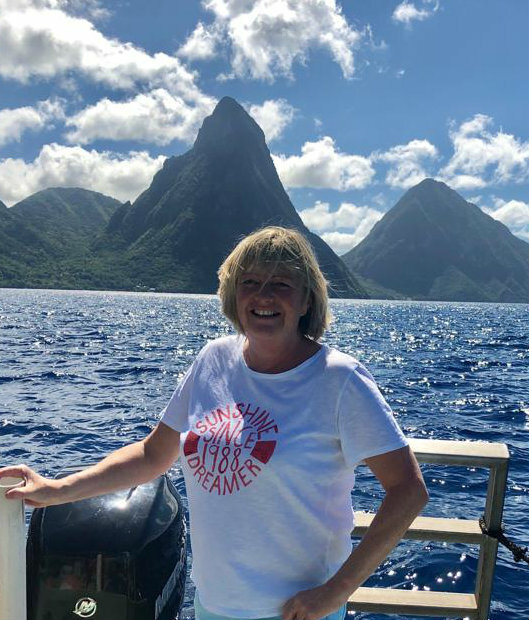 For more information about Boucan by Hotel Chocolat or alternative resorts, take a look at Su's St Lucia Trip Diary.